Philadelphia’s only celebrity gangster, Joseph “Skinny Joey” Merlino, goes on trial this week in federal court in Manhattan for racketeering and conspiracy charges that could land him in jail for a good part of the rest of his life. But this time the stakes seem even higher. Merlino is 55 and has spent about a third of his adult life in jail or on supervised release. He has two daughters in college who have grown up for the most part without him. And he was recently treated for a heart condition – “two significant blockages,” according to a court document – that belie his devil-may-care attitude. Yet Merlino has rejected plea deals that could have resulted in a prison sentence of two to three years. What’s more, that associate and others familiar with Merlino’s thinking say the flamboyant South Philly mobster who now makes his home in Boca Raton, Florida, sees the trial as a chance to hold federal law enforcement accountable for actions that border on criminal. “If I had done what they did, I’d be indicted,” Merlino has reportedly told friends while explaining why he refused to take a plea deal. Jury selection begins Monday morning in the federal courthouse on Pearl Street in Manhattan. The trial is expected to last about a month. The actions of a government witness during and after the indictment was announced are expected to come under scrutiny by the defense. No stranger to the federal court system, Merlino has two prior convictions in U.S. District Court in Philadelphia. He was jailed for an armored truck robbery in 1989 in which $352,000 was stolen. The money was never recovered. And he was convicted on racketeering charges in 2001. That case, like the one that begins this week, included the testimony of cooperating witnesses and hundreds of secretly recorded conversations. Merlino got a four-year sentence for the truck robbery and was sentenced to 14 years for racketeering. He moved to Boca Raton following his release in 2012. It was there that he became the focus of a New York-based organized crime investigation that is the basis for his current criminal problems. That investigation, however, has created problems for law enforcement as well. Merlino and 45 other alleged mob members and associates were charged. The evidence against Merlino has been based primarily on the work of a key cooperating witness, John “JR” Rubeo, who secretly recorded hundreds of conversations. But Rubeo, according to several reports, played fast and loose with many of the protocols that are standard in such investigations. So, apparently, did some of his FBI handlers. An internal investigation of the FBI and its dealings with Rubeo resulted in the suspensions of two agents, allegedly for misconduct. But the details have remained under seal. According to a recent ruling by Judge Richard Sullivan, Merlino’s defense attorneys will be permitted to cross-examine one of those agents at trial. Rubeo’s actions during and after the indictment was announced are also expected to come under scrutiny when he takes the stand. These would include numerous contacts he made with members of the media, some prior to the arrests, in which he discussed his role in the investigation and his desire to write a book about the case. Jury selection is set to start Monday at the Daniel Patrick Moynihan U.S. Courthouse in Manhattan in the federal case against Merlino. While prosecutors at the time suggested the defense was leaking information to the media, it appears Rubeo was a primary source for some of the stories about the investigation that were published to the chagrin and dismay of federal prosecutors. Rubeo began cooperating after he was arrested on drug dealing charges in New York. He remained free on bail while working for the FBI in New York and later in Florida. That bail was revoked and he was jailed about a year ago after authorities learned that he had been in contact with the media and that he had erased some of the recordings that were part of the investigation. Another potential problem surfaced in recent court filings. Judge Sullivan has ruled that domestic violence charges filed against one of the government’s cooperating witnesses could be brought up by the defense. That witness is believed to be Rubeo. Described as a Genovese crime family associate who began cooperating about seven years ago, Rubeo, 43, wore a wire and taped conversations with several New York mob figures, including Genovese crime family capo Pasquale “Patsy” Parrello. Rubeo also introduced an undercover FBI agent posing as a longtime friend into the conspiracy. Like Rubeo, the agent made scores of recordings while serving as a driver and confidant for Eugene “Rooster” Onofrio, another Genovese capo. Parrello and 42 other defendants in the case have pleaded guilty, some to minor charges that carry less than a year in prison. In every plea deal, the most serious charge leveled in the original indictment, racketeering conspiracy, has been dropped. Parrello was sentenced to 84 months after pleading guilty to three lesser conspiracy charges. Onofrio was scheduled to go on trial with Merlino, but was severed from the case because of his own medical problems. He is to be tried at a later date. A LIFE OF CRIME LEFT BEHIND? The government's problems with the investigation appear to have begun when Rubeo, who continued to wear a wire and report to FBI handlers in New York, moved to Florida sometime in 2012 or 2013 and befriended Merlino. In a 2012 interview shortly after his release from a prison halfway house where he completed his sentence on racketeering charges, Merlino said he had left his organized crime life behind and looked forward to living with his wife and family in the Sunshine State. “People live longer here,” he said, while touting the excellent weather and his newfound interest in golf. Merlino is accused of running an illegal sports betting operation and taking part in a multi-million dollar health care insurance fraud scam. Investigators, however, said Merlino continued to play a major role in the Philadelphia crime family even though he was living 1,100 miles away. The indictment alleges he, Parrello and Onofrio were leaders of what federal authorities are calling the East Coast LCN (La Cosa Nostra) Enterprise, an organization that may exist in name only, but that authorities contend includes members of the Philadelphia mob and the Genovese, Gambino, Bonanno and Lucchese crime families in New York. Merlino was the only defendant with ties to Philadelphia. He is accused of running an illegal sports betting operation and taking part in a multi-million dollar health care insurance fraud scam. That scam was built around phony prescriptions for compound cream medication. According to a related indictment in Tampa, a pharmaceutical manufacturing company that was part of the scam fraudulently billed unsuspecting medical insurance companies thousands of dollars for each small tube of the cream. The Florida indictment alleges that insurance companies were defrauded of more than $157 million. Merlino has told associates he never saw or received any of that money. In an 11th hour development, prosecutors asked the court last week to allow them to introduce tapes and testimony from a cooperating witness in the Tampa investigation. In a motion filed on Friday, the government argued that the tapes and the testimony from the witness would show that Merlino had “knowledge of the fraudulent nature of the scheme.” The government motion also contends that the unidentified cooperating witness was present when other members of the conspiracy said Merlino “would earn a share of the proceeds” from the insurance fraud. The defense has opposed the introduction of tapes and testimony from the newly introduced cooperating witness, arguing among other things that Merlino was not part of the Tampa conspiracy and that the testimony and evidence would prejudice his right to a fair trial. The defense also said prosecutors had missed a Dec. 1 deadline set by the judge for disclosing to the defense the names of witnesses and other evidence that might be used at trial. Prosecutors are expected to use Rubeo’s testimony to lay out the illegal gambling and the insurance fraud charges against Merlino. The unidentified cooperator from the Florida case would likely provide additional information about the insurance scam if he is permitted to testify. Merlino's, the Boca Raton, Florida restaurant named for Joey Merlino, closed in June 2016. RECIPE FOR FETTUCINE OR FRAUD? A second cooperating mobster, Peter Lovaglia, is also listed as a witness. Lovaglia is a one-time capo in the Bonanno crime family. It is unclear how his testimony will relate to the charges against Merlino. Lovaglia was identified by New Jersey authorities as a hidden investor in an illegal landfill operation run in Palmyra, Burlington County, by Bradley Sirkin, an alleged mob associate who sometimes served as Merlino’s driver. Sirkin, who lives in Florida, pleaded guilty in the compound cream case in Tampa and was sentenced to 46 months in prison earlier this month. He is not cooperating. A third key witness is Florida businessman Wayne Kreisberg. Like Sirkin, Kreisberg pleaded guilty to medical insurance fraud related charges leveled in both the Tampa and New York cases. He is scheduled to be sentenced in March. At one point, Kreisberg was apparently going to help finance Merlino’s restaurant in Boca Raton. 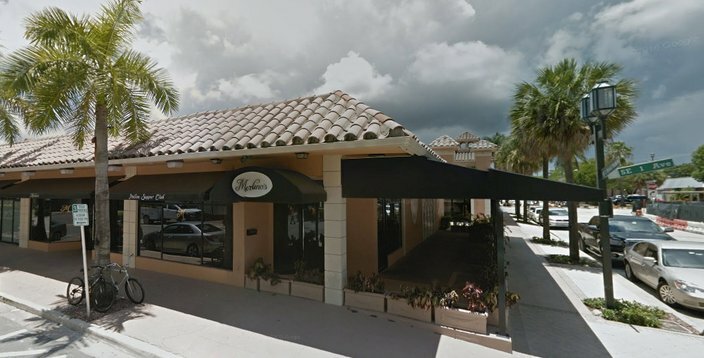 The restaurant, called “Merlino’s,” closed for the summer in 2016 and failed to reopen after the East Coast LCN indictment and arrests were made public in August of that year. In a brief telephone interview shortly after the indictment was handed up, Kreisberg claimed that neither he nor Merlino had done anything wrong. Indications are, however, that he was already cooperating with authorities at that time. His guilty plea in the medical fraud case in Tampa appears to indicate he was a major player in that scam. The government is seeking forfeitures of $11.8 million in cash along with a $2.6 million home in Parkland, Florida. The 8,600-square-foot home includes seven bedrooms, seven bathrooms and an outdoor pool, according to real estate records. Merlino has told sources that he met Kreisberg by chance at a gas station in Boca Raton. He said he admired Kreisberg’s car, a Bentley. During that conversation, according to an account of that first meeting, Kreisberg said he frequented Merlino’s and liked the restaurant, which touted homemade pasta recipes from Merlino’s mother, Rita. Out of that grew a discussion about Kreisberg investing in the bar-restaurant. Merlino’s defense is expected to claim that their only business dealings were culinary. The government alleges that the only recipes that mattered to the two men were the highly lucrative and fraudulent concoctions for compound cream.